The cycleway that runs from the west end of Stokes Bay at No.2 Battery to the east end at Anglesey Road was funded by SUSTRANS in partnership with Hampshire County Council. It has been named the Ray Reece Cycleway in memory of a local man who cycled around the world in 1971. 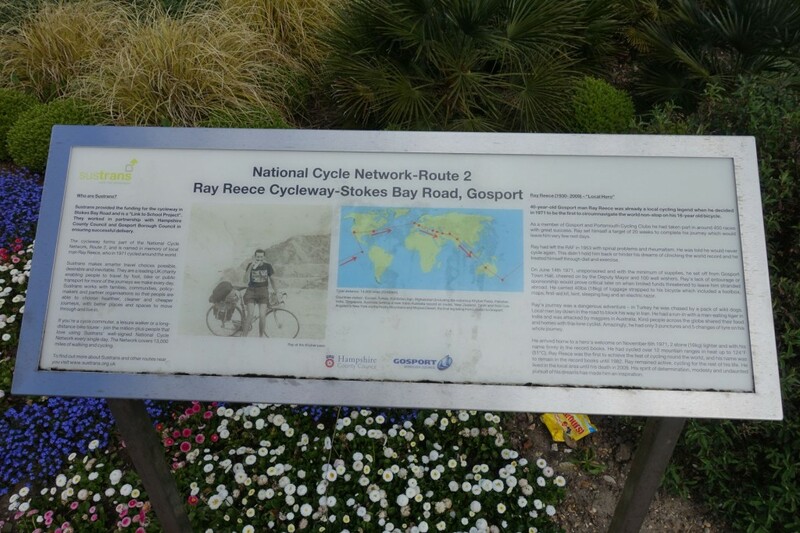 The interpretation board to commemorate this can be found halfway along the cycle route at the junction of Stokes Bay Road and Jellicoe Avenue.